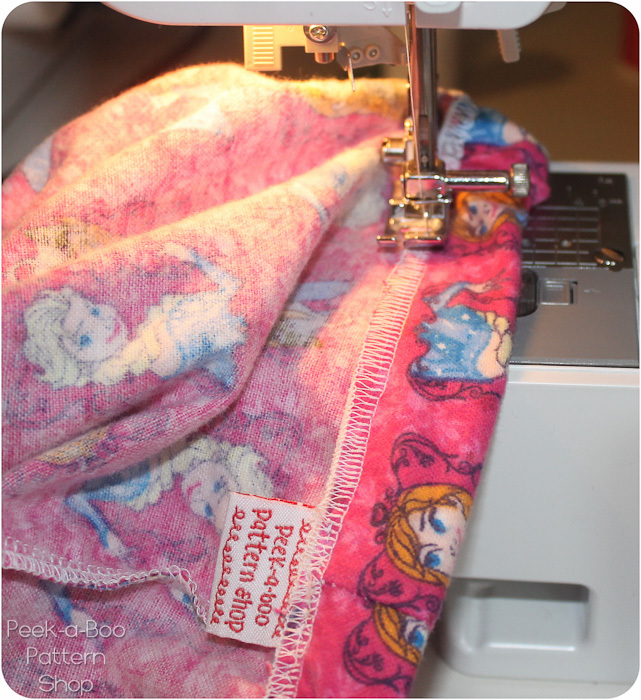 How to Sew a Waistband: PJs Sew Along Day 3 - Peek-a-Boo Pages - Patterns, Fabric & More! 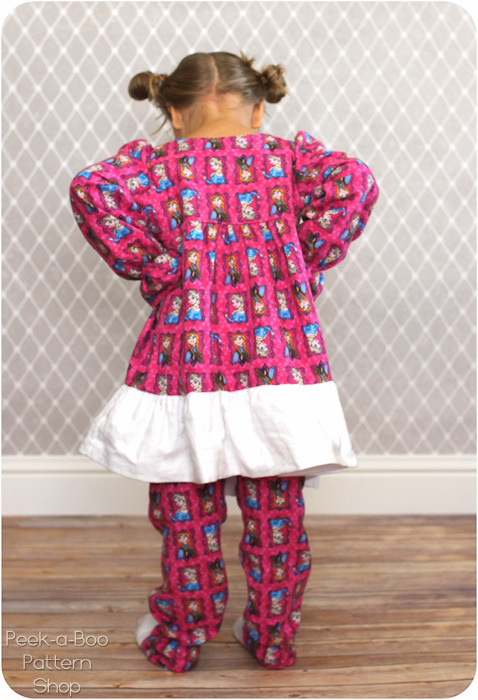 Welcome to Day 3 of the Pajamas Sew Along! 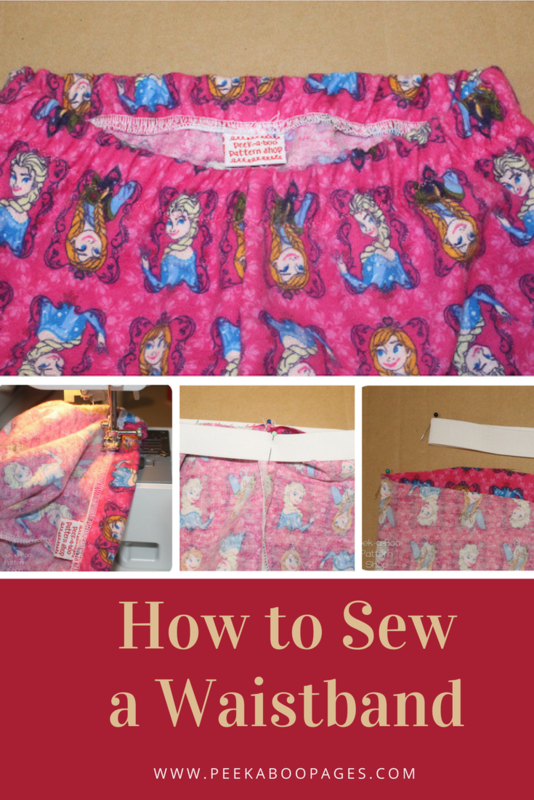 Today we’re going to learn how to sew a waistband the easy way! How to sew a waistband? I really hate thread elastic through casings and I find it sometimes hard to keep your stitching line perfectly straight on a casing so I do my waistbands this way instead and it’s so much easier! And as an added bonus the elastic can’t roll and twist inside the casing! 1. Cut your elastic to 1-2″ smaller than your child’s waist measurement. 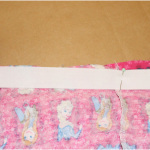 Overlap the ends 1/2″ and sew together. 2. Mark the elastic and pants waistline in quarters. I just use pins. 3. 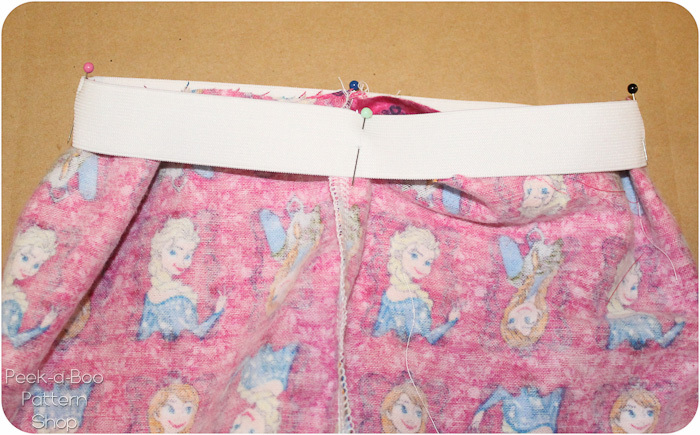 Slide the elastic over the wrong side of the pants and match up your marked points. And you’re done! Now you know how to sew a waistband. 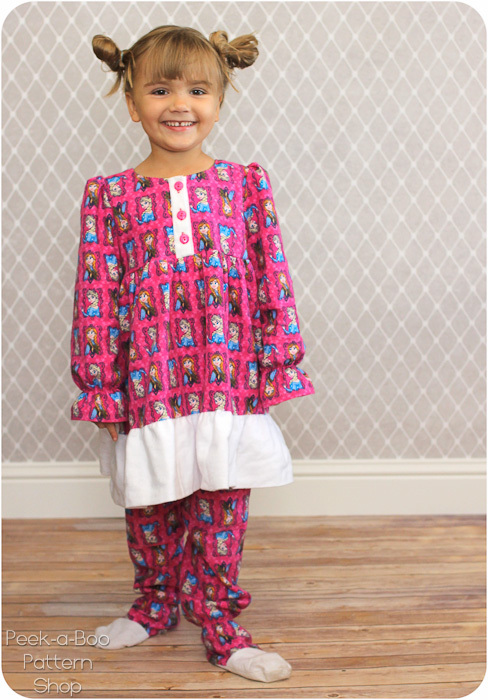 Now throw them on a happy kid and admire your work! 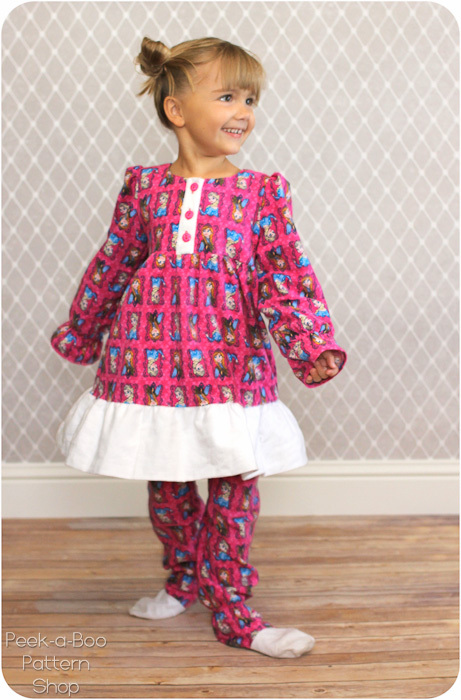 No more chilly feet and she loves the twirl factor! Love this Amy! 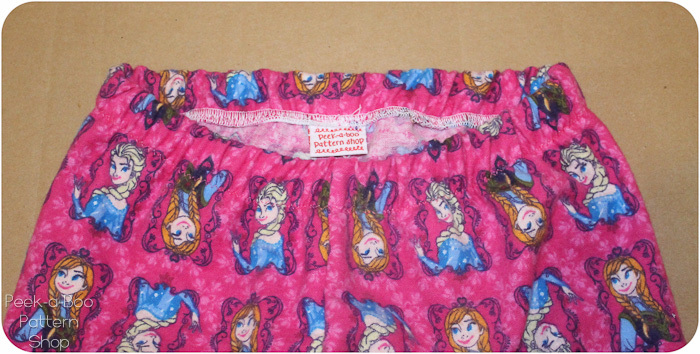 And I just finished 3 pairs in the exact same hot pink frozen fabric using the other method. Trying this method today! This is a great way to do waistbands!! Thank you Amy!! You’re welcome 🙂 I love doing them this way!